The Big Issue magazine’s average reader is 48. 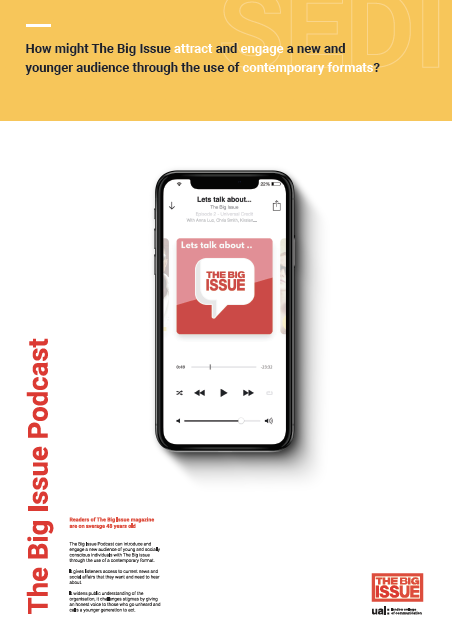 The Big Issue Podcast engages a new young and socially conscious audience. It gives listeners access to current news and social affairs. It challenges stigmas by giving an honest voice to those who go unheard and calls a younger generation to act.